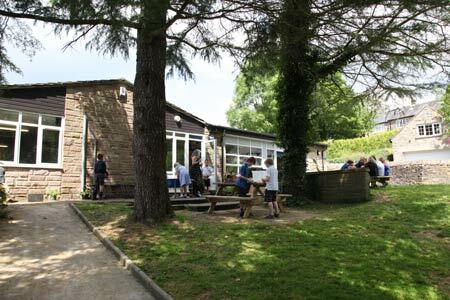 We have a well attended breakfast club where the children enjoy a relaxed environment to start their day. We can cater for all needs and diets and the children enjoy a healthy breakfast and some child-led play. Located in the school hall (lower building), we are able to offer provision daily from 07:45 to 08:45. All staff are DBS checked and are regular members of Team Bamford. We offer a range of activities for all abilities and interest, including child-led play and relaxing activities and we can accommodate children in reception class up to Year 6. The club costs £4.50 per session which includes a healthy but varied breakfast. If you send two or more children on the same day, each child will be charged at a reduced rate of £3.50 (from January 2018). Payment is made via Parent Pay. We also accept Fideliti Childcare Vouchers. Further information can be obtained from the office. Full terms and conditions and a booking form is available from the office.